In this second part of UK games expo I'll focus on the Bushido tournament I participated in. 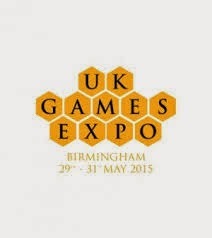 It was run by GCT studios (the producers of the game) in one of the big gaming halls at the Expo. We had a big wall running through the most part of the battlefield, effectively dividing it in two. I was afraid to get flanked so used to much of my "gang" to protect it and was to slow in getting them in combat when fighting started. James had control of the battle the entire time, killing my VIM (Wasapu) by making him 'aggressive' and then easily killing him in combat. While this happened James VIM was disguised and my only free model to engage "her" was a Kyoaku-Han, who couldn't even reveal her as he only has Ki statistic of one! This time around it was Temple who was my opponent and the list contained alot of new "faces" for me, Hisao, Suchiro and Aiko. In the center Tautola was keeping the Rokans busy, while on the left flank Fitiaumua scared the Gorilla for two turns with his special ability, all while he went around the flank and took out the weaker support in the back. On the right flank I was introduced to Riku´s Tsunami, the more flimsy Silvermoons was swept away but Manu was unaffected, so he soon was in combat with Riku. Third battle, second Cult list and a area control mission, for some reason we never play them "back home". So I had no clue what I did and my opponent had full control, at the end of the battle I did a bit of a comeback as I finally remembered my 'Dark Secret' card, apparently the Silvermoons had some compromising information about the Nezumi. After some quick words the big rat turned around and killed Mi Ises, what a rat! "Why are we fighting over a piece of round paper?!" So it was time for the Cult again... this time a Karai heavy list, supported by the infamous Ikimyo and by now much feared Yama Uba. This was my worst played game of the day and seven hours in a large loud hall finally took its toll on me. My opponent was nice and friendly (as the previous three), he had a beautiful painted gang (as you can see below) which he painted in one week, but my heart wasn´t in the game no more. My one point in the game I got from Manu praying at one of the enemy objectives scoring more points than he could achieve in what was left of the game. 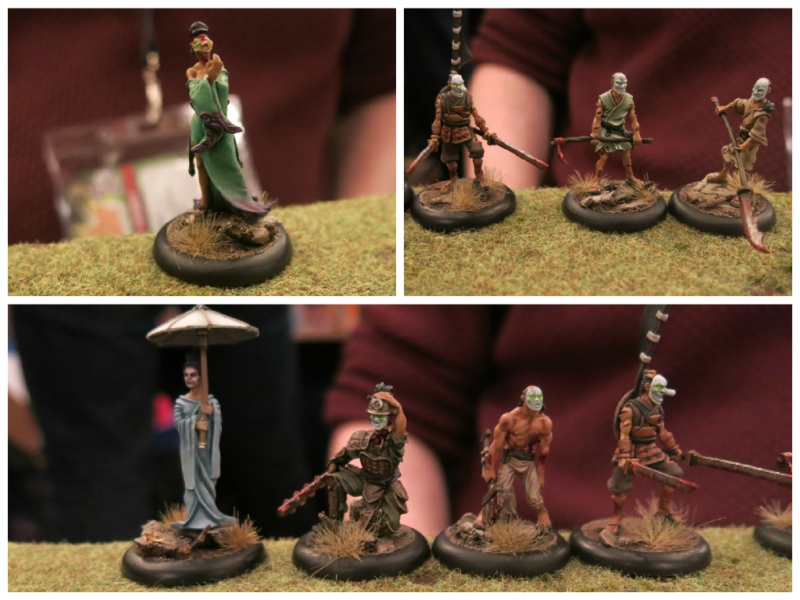 It was great fun to play the tournament, GCT is very friendly and so are the players of Bushido. I have one complaint though and from what I understood it wasn´t GCT fault. The gaming hall was to crowded and the it was quite loud with that many people playing and in motion all the time. The Expo has apparently grown out of the convention hotel it was held in, and they are aware of it, next year some of the events will move to the close by convention hall of N.E.C. I might have gotten some of my opponents name wrong and I am not 100% sure about my scoring in each battle. Four of 16 players where from Sweden, with Oskar being the best-placed swede!